Labassa is property noted for its opulent 19th century interiors and grand proportions. Events at Labassa can be hosted in the drawing room, dining room, music room or marquee depending on what you are after. The drawing room creates a glamorous setting for cocktail events or sit down and the music room makes a lovely ceremony or cocktail party location. Ask us how we adapt a menu to suit your event. The venue is in close proximity to the CBD and is easily accessible by car. Built between 1863 and 1890 the property is in the French Renaissance style with ornate interior. 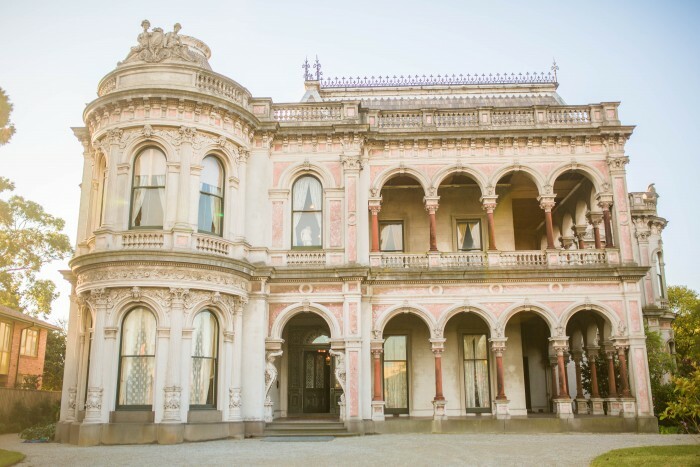 Large ballroom, large outdoor area for family days and larger events and croquet, large verandah for long lunches. Labassa is a beautiful hidden gem or grand scale. The outdoor areas make it the perfect venue for many event options. Let your creativity loose for your next wedding, conference, or reception.